The smile is an important thing for all of us. Imagine having an impeccable smile? The Dental Veneers & Digital Smile Makeover Dubai is a good way to transform your smile. Continue reading to know the cost, benefits, results, side effects, procedure, and more. What is Dental Veneers & Smile Makeover? Euromed offers Smile Make Over in Dubai by using Digital Smile Design. Here, we can give you the ‘Hollywood Smile’ you dream about, using a range of dental practices. At Euromed, we offer the best quality of Dental Veneers in Dubai, also called Porcelain Veneers or dental porcelain laminates. 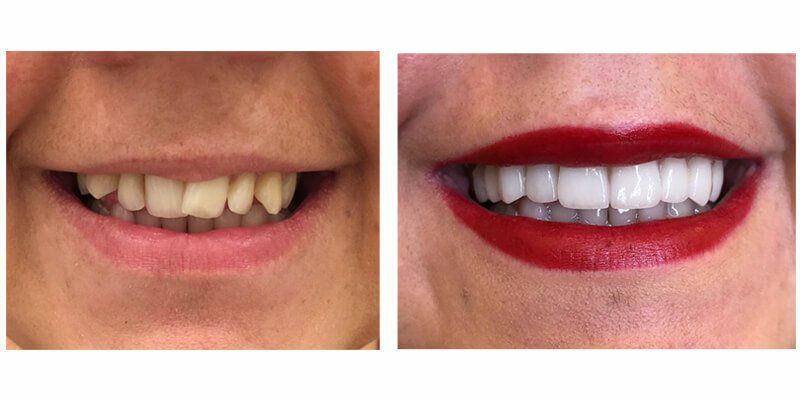 Veneers are typically a thin layer of porcelain created to fit over the surface of the tooth, which offers a cosmetic solution to a variety of dental problems. Unsightly issues such as broken or chipped teeth, permanent staining or discolouration, and spacing between teeth can cause embarrassment. However, using this simple and effective treatment, Dr. Sofia can alter these issues and successfully enhance your smile. It cures gaps between teeth. It treats the minor chips or fractures. It whitens the yellow/stained teeth Color. You have good dental hygiene. You have severely stained teeth. You have sufficient tooth enamel. You have good overall oral health. You have moderately straight teeth. You do not grind or clinch the teeth. You have several cosmetic issues to be fixed. You have minor cosmetic imperfections in the structure of the teeth. To make the teeth beautiful. To solve different teeth imperfections. To boost your self-confidence and self-esteem. 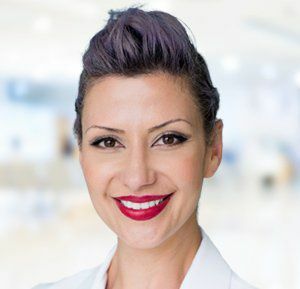 After an initial consultation to determine the results you wish to achieve, Dr. Sofia will remove a very small piece of enamel (the same size as the veneer to be fitted) to ensure that the tooth remains the same size. Then a mouth impression is made and is sent to a dental lab along with an accurate colour match. After the veneer has been constructed and sent back, Dr. Sofia will carefully align it with your tooth and attach it using a special adhesive. Crowns are used when more conservative techniques are not enough to restore tooth function and address your aesthetic needs; they are usually needed to help preserve a natural tooth in patients who have largely broken down fillings. Meanwhile, bridges can replace missing teeth and can prevent natural teeth from shifting. They often serve as a permanent non-removable alternative to dentures. People who have missing teeth can suffer from several problems, including chewing difficulties and problems with pronunciation. In such cases, dentures may be the best option. 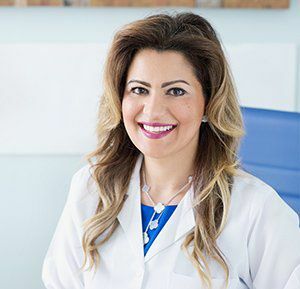 At the Euromed clinic, our dentist Dr. Sofia can create the highest quality, custom-made dentures which are both comfortable and aesthetically pleasing. Dentures are a great investment; not only can do they transform your teeth, but they can also last up to 10 years. The patient needs to have realistic expectations for the treatment. There is no need to do much preparation before the procedure.But you should take care of the teeth and follow the instructions from the doctor. Veneers are not as strong as the natural teeth. In other words, you will have to take extra care to protect the teeth after the treatment. The patient will not experience any pain after the treatment, but you must follow the guidelines given to you by the doctor. The Dental Veneer Treatment & Smile Makeover Cost in Dubai varies from person to person, but we are proud of offering terrific packages for these treatments, as well as financing options. To know the exact cost in your case, please contact us now. To know ‘is getting veneers the best option for you’ and ‘how many dental veneers do you need’, you have to make a consultation with your doctor. Usually, even numbers of the veneers are suggested to get best possible results. Some specific methods of caring are proposed by the doctor. A lifetime of 5 or more years is guaranteed by the doctor. Furthermore, you should visit the clinic for regular exams and cleanings. Usually, the process doesn’t hurt as local anesthesia is administered on the specific area. After numbing the area, the procedure is started. In the case of 2-4 veneers, you will experience almost no or a little discomfort. Hence, in case of more veneers, you may experience more discomfort and soreness. No, veneers never stain. Hence, you should take care of them as per the instructions of your dentist. Usually, local anesthesia is administered to perform the procedure. The amount of anesthesia also depends on the level of discomfort the patient is facing during the treatment. Being a patient, you should let your doctor know about your pain. Dental veneers last for almost 10 or even more years without breaking or chipping. Well, you need to take proper care of them to make their life long. However, if the teeth are not maintained, then you may get issues sooner. The professional checkup is recommended every 6 months or a year. You should floss your teeth daily and brush them 2 times in a day for 2 minutes. Wearing a bite guard at night is another good option to take care of veneers. Avoid hard bites with the front veneers. Should you have more questions, do not hesitate to contact us by calling us or filling the online form.